But something else bumps up Finland’s geo-happiness rating, and that’s the Porvoo GeoTour, GT7E. 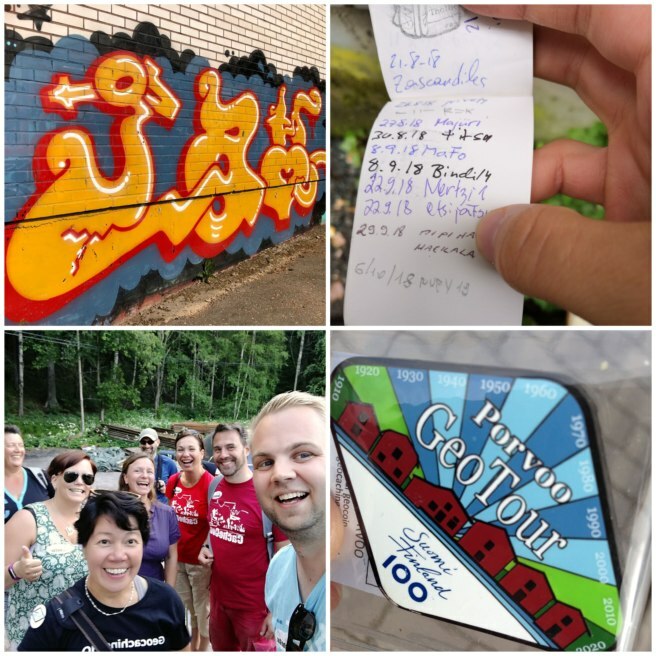 The country’s only official GeoTour is comprised of thirteen geocaches, each highlighting a different decade in the history of Finnish independence. There’s even a cache dedicated to the future! One of the oldest cities in Finland, Porvoo was founded some 800 years ago. This idyllic small city retains much of its traditional nature, including the older buildings and cobblestone streets. Historically a center of trade due to its connection to the Gulf of Finland by the Porvoonjoki River, this area now inspires and is home for several Finnish artists. 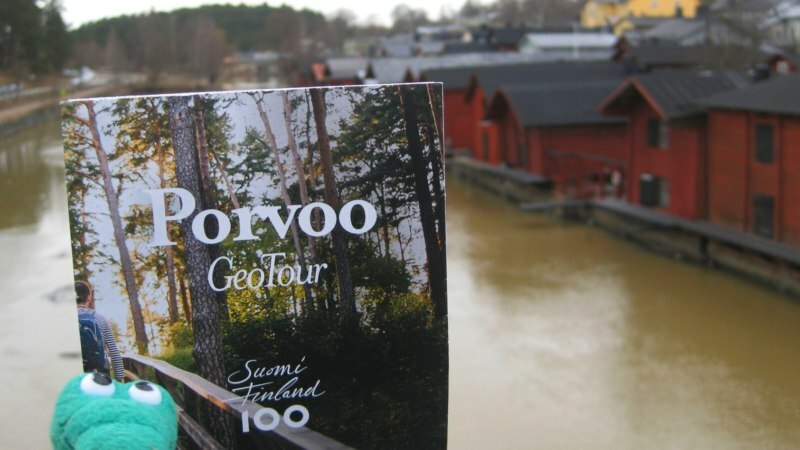 So grab your passport, always bring a pen, and let’s adventure to the Porvoo GeoTour! The history of the bridge in a nutshell: There used to only be one bridge, located on the eastern side of the city. 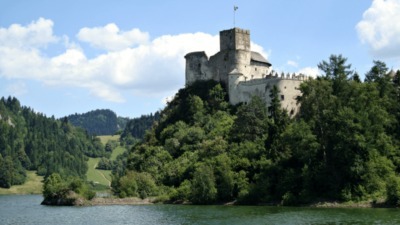 The river was crossed daily on the other side of the city in rowboats. In 1948, a local company arranged a ferry for workers to the Haikka gilded frame factory and the Mekaniska Verstad machine shop. The ferry made 70 to 80 trips daily. A rare find indeed. 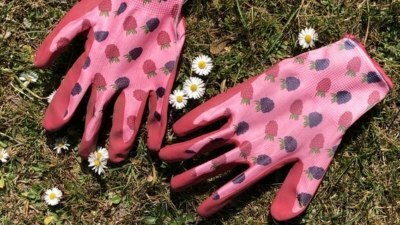 This is one of the few Virtual Rewards to be found on any GeoTour in the entire world. 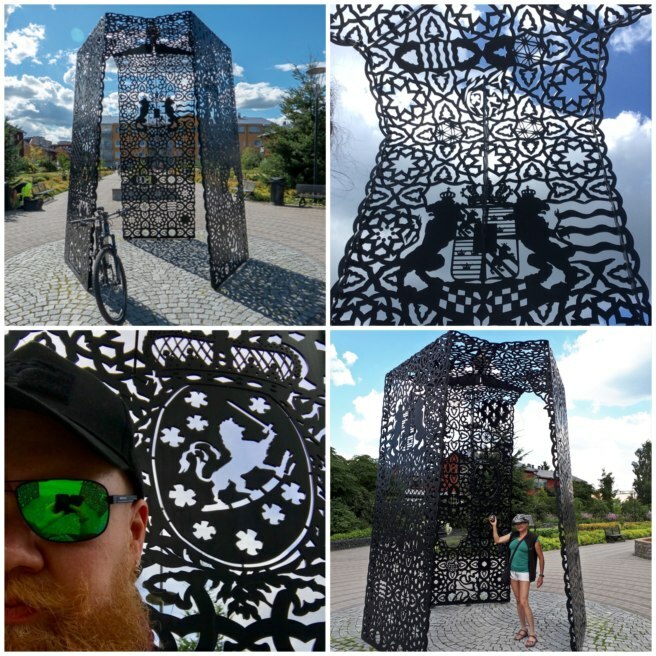 The Triptych is designed by the Porvoo artists Kirsi Kaulanen and Ylva Holländer. The piece features rich, ornamental designs full of folk art and heraldry and is divided into three sections. The northernmost wall depicts Finland, the westernmost represents Sweden, and the easternmost, Russia. 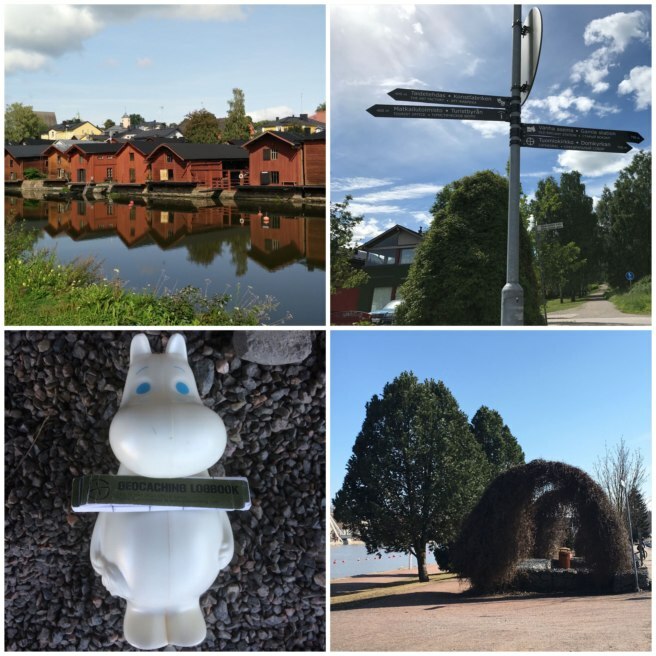 To obtain the coordinates for this “Bonus” cache you must solve a special puzzle poster that is located outside of Porvoo’s city center. Your final location is delightfully tucked within an out-of-the-way industrial area featuring mind-expanding graffiti art. 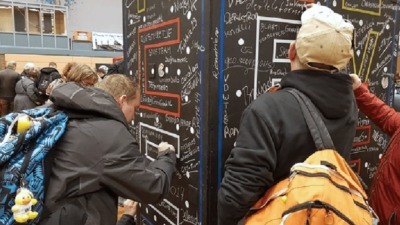 Speaking of geocaching, just before the summer solstice, the Midnight Sun Geocaching 2019 Mega-Event will occur on June 15th. And, if you happen to be in the neighborhood even earlier, head over to Norway and attend the Vikingevent 2019 Mega on June 8th. So plan your visit well, geocachers! Special thanks to MegsKBrown for her on-location help with this blog post!